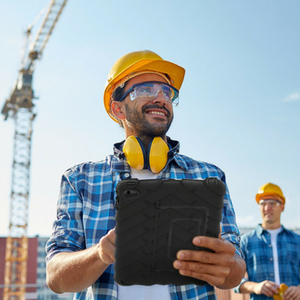 A rugged iPad and tablet case lets you take your device wherever you need to go, whether that is in healthcare, construction, science or the classroom. Drop-proof your Apple iPad or iPhone, Samsung Galaxy phone or tablet. Got a bigger device? We have protective cases for Surface Pro, rugged cases for Mac, Lenovo, Dell. Rugged cases for devices from phones to tablets, laptops to Chromebooks.